I’m a huge fan of Cinnamon Raisin English Muffins. Actually…let me rephrase that. 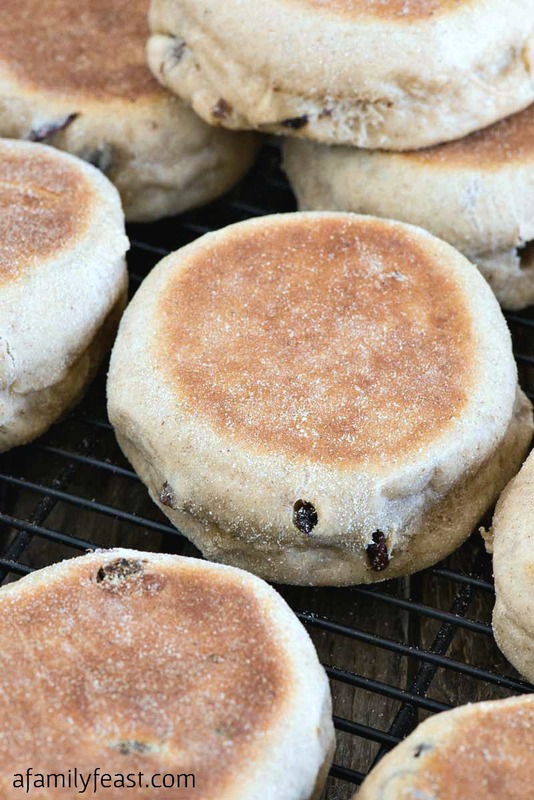 I’m a huge fan of any variety of English muffin – but especially the cinnamon raisin variety! There’s something about a crispy, toasted English muffin with nooks and crannies filled with melted butter. 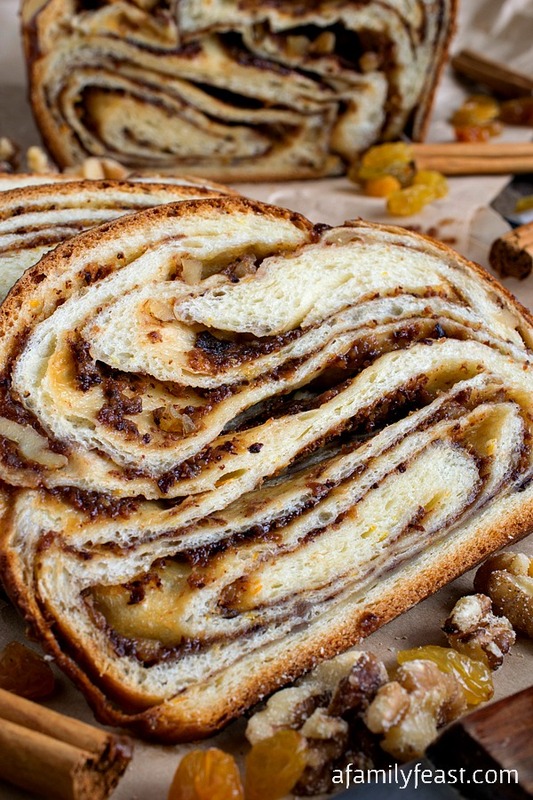 And then…the sweet surprise of raisins throughout a soft, chewy cinnamon-infused bread…I just love it! My husband Jack (being the sweetheart that he is) set out to make homemade Cinnamon Raisin English Muffins last weekend. 😊 After doing a little bit of recipe research, we were surprised to learn that making homemade English muffins are easier to make than we both thought! 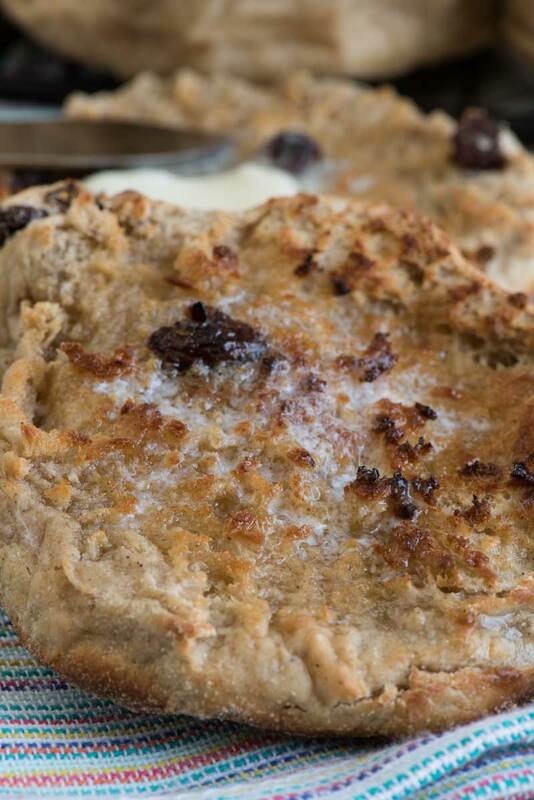 Today’s Cinnamon Raisin English Muffins are completely cooked on a stove top using a flat, non-ribbed pan (a crepe pan like this worked perfectly) rather than partially baked in the oven. 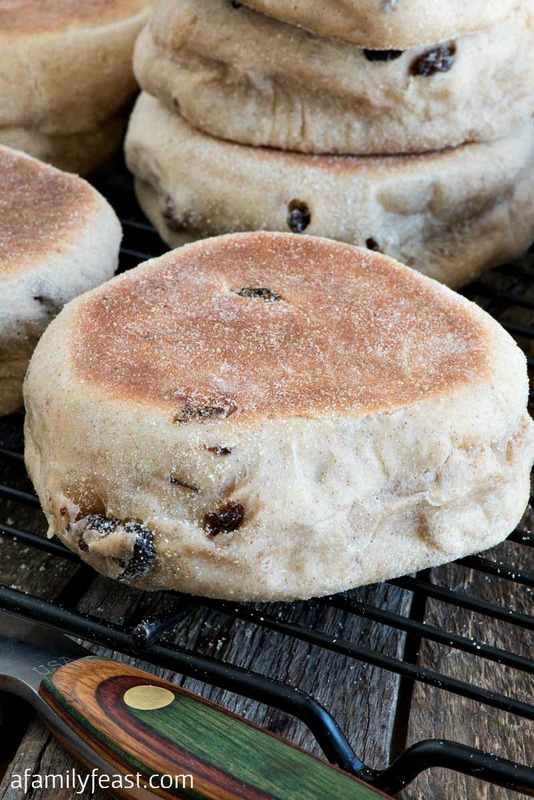 This stove top technique (plus an instant-read probe thermometer) really allowed us cook these Cinnamon Raisin English Muffins to perfection – with a crispy golden top and bottom, and a soft, chewy inside. 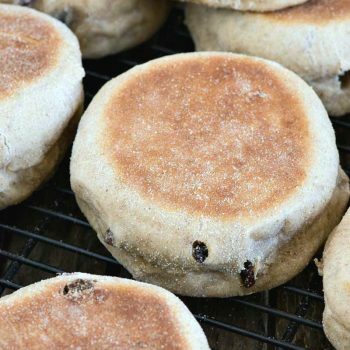 Our Cinnamon Raisin English Muffins recipe is an adaptation of two recipes combined: one from the cookbook “The Bread Baker’s Apprentice” and the other is a recipe found on the King Arthur Flour web site. We have a fantastic giveaway going on until May 6, 2017! Click here for your chance to win a Wolf Gourmet 4-Slice Toaster! 1¾ cup buttermilk warmed to 110 degrees F.
In the bowl of a stand mixer with the paddle attachment, add bread flour, pastry flour, sugar, salt, cinnamon and yeast and blend a few times to mix. Add eggs, butter and buttermilk and mix to form a sticky dough, scraping bowl as you go. 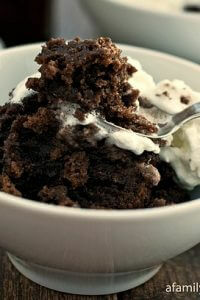 Once completely mixed, add raisins and mix to incorporate. 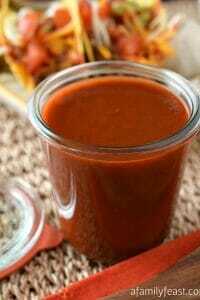 Pour and scrape into a large bowl, cover with plastic and a kitchen towel and let rest in a warm place until doubled in size, about two hours. 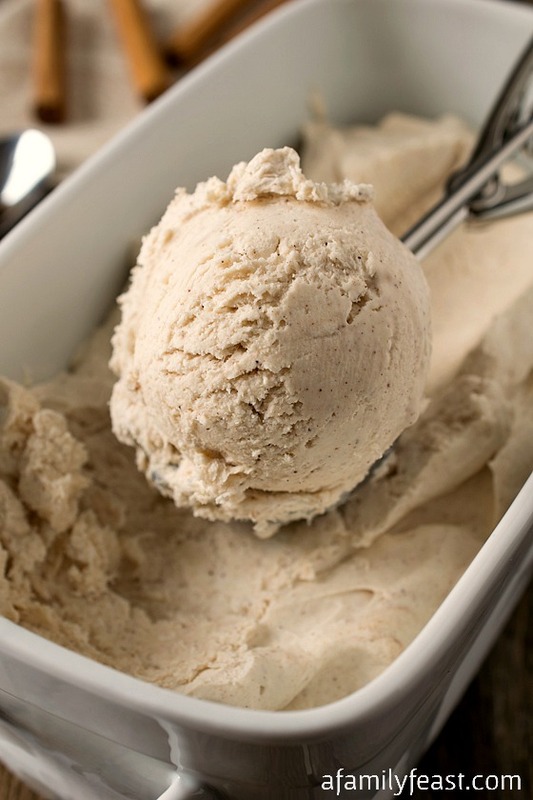 80 humid degrees F is the perfect proofing temperature if that is possible in your kitchen. Punch the dough down slightly to release the gas. Dust your counter with the semolina and scrape the dough out of the bowl onto the semolina. Form into a log and cut in half and each half in half. 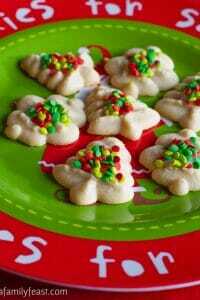 Now cut each quarter into thirds to yield 12 pieces. Roll each piece into a ball then into a disc 4” round and dust tops with semolina. (If you own 4” rings, press the dough into them to get a perfect round shape. If not, no worries) Cover with plastic and let sit on your counter for 20 minutes. Lay one or more non-ribbed grill pans on your stove top and set flame to between medium low and medium. Spray the pan(s) lightly with kitchen pan spray and dust lightly with semolina. Cook in batches or all at once by laying each disc onto the hot pan and cook each side 15 minutes. Each side will become golden brown. To test, insert a probe thermometer into the side. The center temperature should be between 190 and 200 degrees F.
Cool slightly then using a fork, split from the sides to get the nooks and crannies, toast and finally slather on the butter. I just found your website and am excited to try so many of them. I look forward to many more. Thanks for the time you take to do this. Thank you Sandra! We’re glad you found us! Can you use all bread flour? omitting the pastry flour. 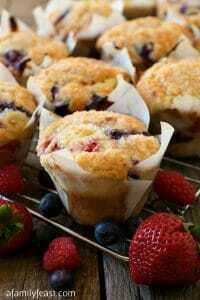 Hi Janice – Bread flour has a lot more protein than pastry flour so more gluten will form and the English muffins will be denser and chewier. If you have all-purpose flour on hand, I’d suggest swapping that in for the pastry flour instead of using all bread flour in this recipe. Hope that helps!